What a beautiful day!! Rikugien Garden, a large and beautiful Japanese garden in Tokyo City, is famous for red maple leaves in autumn. But did you know it also has famous natural beauty in spring? It’s the big weeping (drooping) cherry tree! The best days came on 26 March, so I’d like to share it with you. I upload as many photos as possible, and moreover, a practical sightseeing guide to get there, descriptions of Rikugien Gardens, links to Google Maps and other helpful sites. No matter which you are in Tokyo now or just seeing sakura photos, enjoy it! 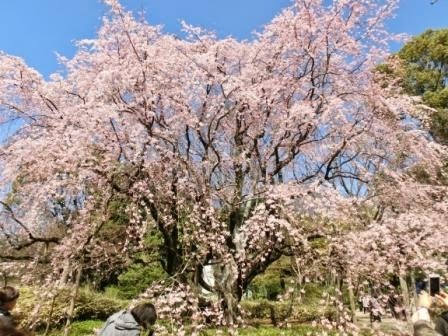 I uploaded a photo of weeping cherry tree blooming in Shinjuku Gyoen National Garden in Tokyo City last year. 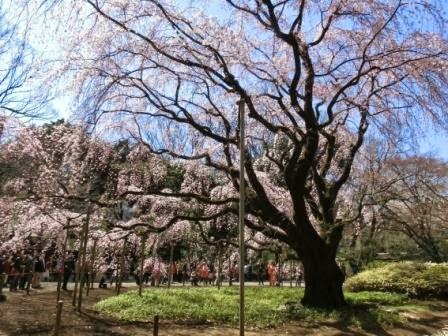 It is a big tree, but the weeping cherry tree in Rikugien Garden is even bigger. There are not many weeping cherry trees which are as big as it, which makes it very famous. You see, cherry blossoms are weeping. 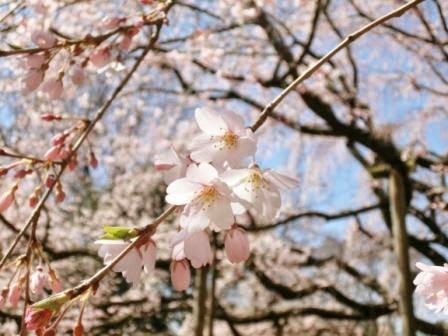 When you see the cherry blossom post of Shinjuku Gyoen, you might realize that many cherry blossoms haven’t reached to the peak when the weeping cherry tree is blooming fully. That’s right. 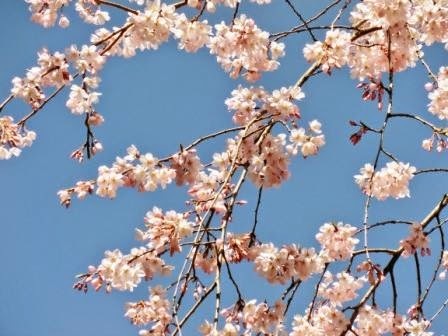 Weeping cherry trees bloom some days earlier than the standard cherry blossoms named Someiyoshino. 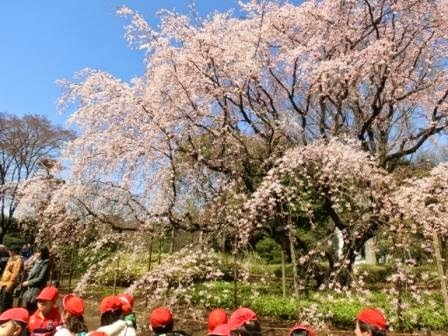 Some cherry-blossom-loving Japanese locals start hanami (sakura viewing) with weeping cherry trees. Many people, including international tourists, are visiting it. Everyone looked so happy. It’s so flowery! And it’s a wonderful day for children’s picnic. How beautiful! 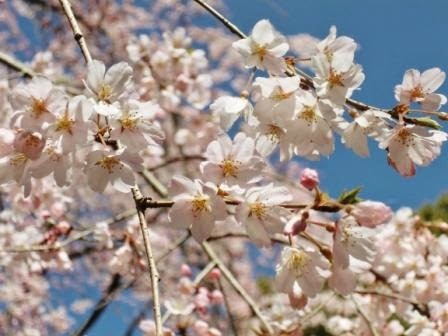 Weeping cherry blossoms are very popular among people. 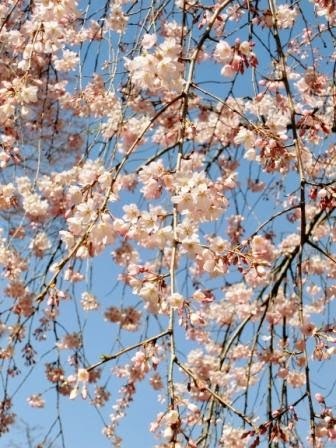 The shape and color of weeping blossoms are similar to the standard sakura, and at the same time, weeping cherry trees have its own beauty. Don’t you think so? 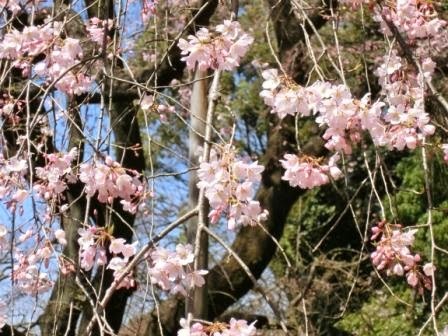 I’m saying repeatedly in this blog that cherry blossoms have many kinds. If you visited Tokyo some days earlier than the best days of standard sakura, you have a chance to see full-blooming weeping cherry tree! In the high season, Japanese gardens often hold some events. 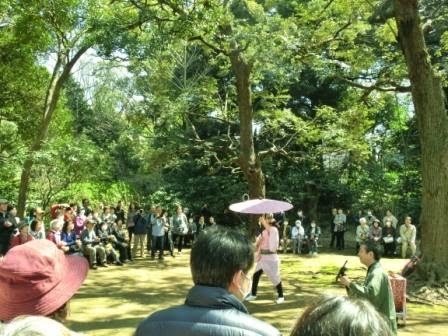 I have written about a traditional music band in Kyu Shiba Rikyu Gardens in Hamamatsucho, and this is a traditional entertainment show held in Rikugien. Here is a travel tip for you from a local. 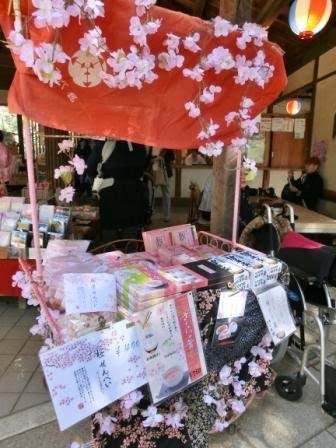 How about getting sakura souvenirs in Rikugien Gardens? Did you know that there are ways to eat cherry blossoms and leaves? Salt cherry blossoms and leaves are used in traditional Japanese sweets only in this season. Personally, I love the unique, elegant flavor very much. You will find some of them here. 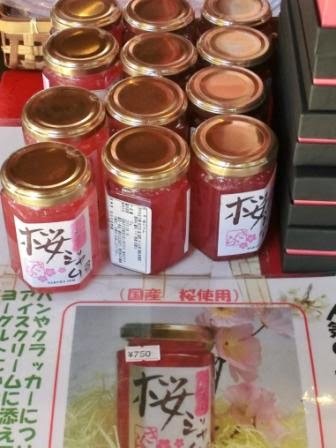 If you have bread for breakfast in daily lives, I found cherry blossom jam. One more thing. In Rikugien Gardens, you can experience genuine, traditional Japanese matcha (green tea.) If you want to learn, please see the post of Rikugien Gardens in Autumn. 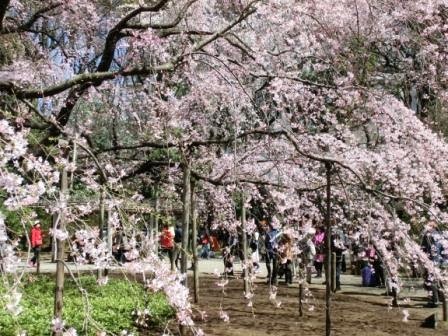 The weeping cherry tree in Rikugien Garden will last until early April. The garden is lighting it up in this season. Practical visitor information is in the following. So, did you enjoy this beautiful spring day full of cherry blossoms? The next post will be the full-blooming standard Somei Yoshino blossoms at last. I am going to visit another Japanese garden to view cherry blossoms. Hopefully, photos of Ueno Park Cherry Blossom Festival and Imperial Palace, too. And I’m going to upload non-standard sakura in April, so whichever you are a traveler visiting Japan to view cherry blossoms or a blog reader, keep checking! A 7 minutes walk from Komagome station of JR Yamanote Line and Namboku Subway Line. In high seasons, Somei-mon Gate is open for more convenience. 10 minutes from Sengoku station of Mita Subway Line. Travel Tip: In Komagome Station platforms, listen to the melody before trains are closing doors. Japanese trains use some melodies instead of beeps to attract attention. In Komagome Station, it is the traditional song titled, “Sakura Sakura,” which everyone knows in Japan. Anywhere in Tokyo is convenient to visit Rikugien with JR Yamanote Line, the loop line of Tokyo City. Ikebukuro is the nearest district, but Ueno, Shinjuku, Shibuya, Hamamatsucho, Shinagawa, Ebisu are also good choices.